wilderness camping (you'll need a self contained RV camper). buying adjacent property to expand the EMF Quiet Zone area. participating in EMF Free Communities some other way: funding, fund raising, camp host, volunteer grounds caretaker, skilled/unskilled labor etc. Follow us on FaceBook to keep up on the latest developments leading to this new community. PLEASE NOTE: we are describing here the general EMF-free (very low levels) and MCS-free (very low levels) area and topography; we will be providing more precise location, accommodation, price, etc. once the legal zoning variance and permits are granted (all in all a very long series of very big tasks). We are also taking this time to raise addtional funds to prepare the acreage with the necessary infrastructure, which includes building new roads to access the property, drilling a well, building toilets/showers, picnic tables, and more, and we invite your contribution - large or small - very bit helps. We, also contribute a portion of every training we do, towards the launch of this vision - Rancho Quieto (EMF-Quiet Ranch). Additionally we are taking this time to scout out additional EMF-free Arizona locations with proposed future (EMF-related) development in mind, so we welcome your suggested locations. After three years of scouting out locations in NM, AZ, CA, OR (and the warmer parts of WA) we have come to the conclusion that good weather is a first-most deciding factor, and with over 300 days of warm sunshine a year, Arizona's high desert (4 mild seasons) our EMF community neighbors can live a truly "great outdoors" lifestyle of fresh air and natural beauty. The White Mountains high desert of Arizona is an impressive mountain wilderness range in the scenic region of the northeastern area of the state. The area has been the vacation/weekend retreat choice of Arizonans for decades. Its cool summers, mild winters, stunning natural scenery and clear air are a refreshing departure from the electrosmog, polluted air, chemical soup and congestion of the city. 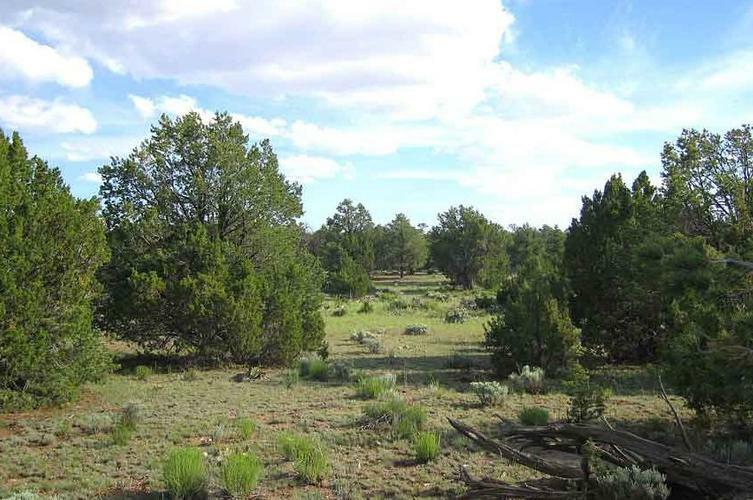 The area is touted to have the largest Ponderosa forest in the world, with Juniper, Pinon Pines, and Cedars aplenty, four mild seasons, the list goes on and on. The area’s huge forest expanses (mostly protected Federal lands) abound with fish and game. Charming country towns, numerous nearby lakes, streams, hiking trails and historic sites round out the attractions. The acreage we have selected for our EMF community is a rare place that is rightly described as the vanishing America, a quiet, secluded, view-rich, nature-blessed wilderness environment. A retreat far removed from the crowds, smog and stress of metropolitan living, yet convenient to necessities. A peaceful, pristine, beautiful world apart that rejuvenates and restores. Arizona (and particularly this area) abounds in undeveloped land – 83% of the state of Arizona is protected natural reserve -- its surrounding state and federal land makes our EMF free community a true refuge and a unique treasure to enjoy now, as well as a pristine wilderness to preserve and pass on for the wellbeing of future generations. At an average elevation of 6,000 feet above sea level, this spacious EMF community enjoys pure mountain air and cool refreshing temperatures amid incomparable seclusion and privacy. Domestic water and drip-irrigation for organic garden growers comes from private wells from the massive Coconino Aquifer, the largest freshwater basin in northern Arizona. The land we have scoped out for both the EMF community acreage and available adjacent land is far from people and power today, yet accessed by quality maintained roads. It is semi-off-grid (with the potential for future underground electric service); meantime we plan to use (no/low EMF generating) DC solar, wind, propane, (no smoky woodstoves) mainly as the primary power sources, and wired highspeed internet received via highly directional (ie low EMF) satellite dish or buried fiber optic cable if possible. No pesticides, herbicides or other similar type chemicals have ever been used on this property, nor have petroleum products been used to maintain roads (gravel roads). Air quality is excellent with no industrial airborne pollution drift in the area and no overheard jet path. Natural wind borne dust varies. Geological sites include prehistoric pueblo ruins, state parks and Indian reservations, the Petrified Forest, Painted Desert, Meteor Crater, the Grand Canyon, Canyon DeChelly Nat'l Monument, Monument Valley, Trail of the Ancients, Mesa Verde Nat'l Park, and more in the Southwest Four Corners (UT, NM, CO, AZ) area. 20 - 30 mins from 3 small towns, 2 hours drive to Flagstaff and the breathtaking movie set red rocks of Sedona, 3 hours to Phoenix AZ or Albuquerque NM, 4 hours to Tucson AZ and Sante Fe NM. Medical Clinics are 30 minutes drive away; 2 Acute Care Hospitals 40 - 80 minutes away. National banks, Churches, Restaurants, Dentists, Chiropractor, Pharmacy, Hardware and Grocery store, are "in town" about 15 - 20 minutes away. Naturally the big idea behind the EMF Community is to enjoy a quality lifestyle based on wellbeing, a beautiful, nurturing environment, and affordable living. In particular we want to create a refuge that offers relatively quick, easy, inexpensive relocation, so you can start feeling better faster. So with this in mind, we envision various lifestyle-options on this acreage - ranging from wilderness camping, to a more settled tiny house neighborhood rental community. If you are new to the growing trend towards tiny homes, you'll find many other types of tiny house communities, each with their own intention for coming into existence. 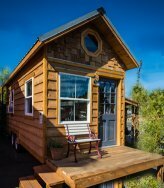 If you are interested not in renting but in owning your tiny home and leasing land in our EMF community longer term, there are many types of tiny homes and prices available, including custom-built MCS-free options, and as we jump through the re-zoning hoops we are hoping to also make leased land available for these popular, portable homes. Alternatively, if you are interested in a larger site-built or custom home you may want to look purchasing freehold land adjacent to our EMF Community in order to expand the EMF-free footprint in square miles, which we all will happily benefit from. In this case we are able to plug you into those available land opportunities as well. 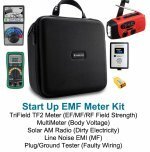 Since our EMF community will be naturally be located some distance from "civilization", at least as we know it, earning income can be challenging. Our own experience has clearly shown us the rapidly growing phenomenon of home-based businesses among EMF-smart people, including EMF refugees. 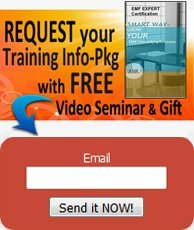 In particular, the growing demand for Electrosensitivity Consultants and Certified EMF Consultants is a natural fit since these are rewarding businesses that are exploding in demand today with services that can be provided largely by phone, or by (wired) internet, for clients everywhere in the world seeking your advice. We experience this demand every day from around the world. EMF Refugees - News and Videos about Searching for EMF-free place to live that is safe from Electrosmog and free from the debilitating symptoms of Electrosensitivity.